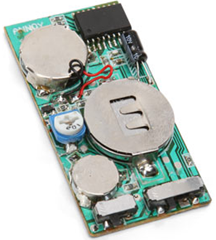 One of the nice things about an USB mouse is that it install without making too much fuzz for the user. Its no problem to have multiple mice attached at the same time, and they all are active! This means that it we can attach an extra mouse to my targets docking station, he would probably not detect it right away. He tried to undock his laptop, and to his astonishment everything worked like a charm then. “It has to be the docking station” …. He suddenly rised up, pretty frustrated, and franticly removed all USB cords on his docking station, and reinserted them all, including our extra mouse cord …. ha ha!!! After the initial prank with the annoy-a-tron, I received my fare share of revenge-pranks. Needless to say, my coffee was polluted with oregano and salt all the time. A nice one was when they had lowered my electric desk down on my office chair, and unplugged it…. My next prank involved a small bottle named “STIFF”, obtained on a marked in Denmark. The description on the bottle was very sparse and desides that this chemical would stiffen water and coffee almost instantly, the whole “declaration” was Saltkalciumpolymer. And of course “Guranteed not poisonous” …. How reassuring! After some searching on the net, I couldn’t find anything on saltkalciumpolymer, but “polymer” revealed that that the compound has something to do with long polymer molecule chains… After even more research I have concluded that sodium polyacrylate is closest. Sodium polyacrylate is in the form of gel-buds or powder and its unique thing is that it can absorb between 300 and 800 times its own weight. This is the stuff that make baby diapers dry!!! 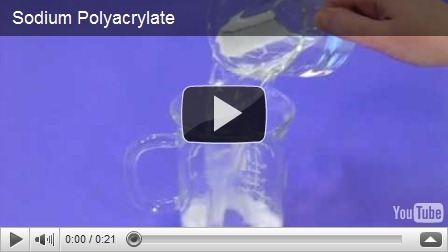 Small demo of Sodium Polyacrylate …. Now, I was soo lucky when I added just half a teaspoon of this chemical to his coffee. The coffee did not stiffen right away, only at the bottom!! In February 2010 I changed employer, and at the local office we are 4 people sharing a cubicle…. Obviously I was bragging too much of my desire to exercise, so my colleagues started a process to get me started with spinning down at the local gym. As a punishment for not showing up at the super-early spinning sessions (06:30 …), a guy at the office one day removed all my stuff from my desk, even the desk itself! Ha ha, let the games begin!! …which emits a short, extremely annoying sound for a split second. This was the first time I was able to actually use, and boy I was looking forward to this! I showed up early, so I could find a fine spot for it. As it has a magnet, it is pretty easy to stick it on any magnetic object, so I desired to place it underneath his desk. I was first afraid that it would be easy to spot its whereabouts, but it turned out to be impossible to track down!! My colleague – the target - arrived, as well as an innocent colleague …. The annoy-a-tron emits a sound every 2 to 10 minutes, and can be adjusted via some small switches on the board, and from now on my colleagues became more and more frantic! For every sound, they tried to super-focus on where the sound came from. And believe me, watching my target staring with empty eyes at the wall, hushing on everybody in case another sound came along, will be remembered for ever …. After a couple of hours, all cupboard-doors was open, the server door was open … “it has to come from here …”. “…here”. “…here!!! !”, and the target was seriously planning to open the mains-sockets to see if something was short-circuiting inside…. My innocent colleague was poking her ear, and staring to feel uncomfortable …. Several times during these hours I had to go to the restroom just to laugh it out. It was hilarious to see their frantic faces!! I decided to abort the prank some hours after lunch, as the innocent colleague was getting really annoyed …. My verdict for annoy-a-tron? One of the absolute best pranks I have ever pulled! !